Wondering about good ideas for small dog names? 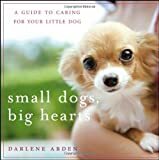 If you’re trying to come up with a fitting name for a small breed puppy or dog, Dogs and Puppies Central offers this growing collection of small breed dog names ideas. A unique small dog name for your “tiny tire biter” awaits you below!